Provide comfort for the family of Jocelyn Long with a meaningful gesture of sympathy. 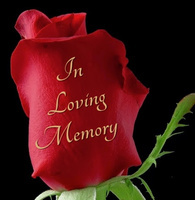 Jocelyn M. Long, of Cornwall, NY entered into eternal rest on February 2, 2019 at her home. She was 69 years old. The daughter of the late Henry Leclerc and Charlotte (Demers) Leclerc, Jocelyn was born on September 16, 1949 in Quebec, Canada. Jocelyn is survived by her loving husband: Michael D. Long; her daughter: Monica J. (Long) Balassone and her husband Daniel of Pleasant Valley, NY; her grandchildren: Danielle Long and Preston Balassone; her brother: Daniel “Danny” Leclerc; and her sister: Louise McCoy. Jocelyn will be missed dearly. A Mass of Christian Burial was held at St. Thomas of Canterbury Church, Cornwall, NY. Cremation took place at Cedar Hill Crematory, Middle Hope, NY. Memorial Contributions in Jocelyn’s name can be made to Memorial Sloan Kettering Cancer Center, Attn: Emily Carter, 885 Second Avenue, 7th Floor, New York, NY 10017. Please indicate on the check that the gift is in honor of Jocelyn Long. Donations are being accepted for: Memorial Sloan Kettering Cancer Center. We encourage you to share your most beloved memories of Jocelyn here, so that the family and other loved ones can always see it. You can upload cherished photographs, or share your favorite stories, and can even comment on those shared by others. Provide comfort for the family of Jocelyn M. Long (Leclerc) by sending flowers. We will remember your smiles Jocelyn. Always in our hearts snd prayers. We want to extend our deepest sympathy for your loss of Jocelyn which is the most devastating experience your family will face. At times, the pain of your loss will feel unbearable. Please know that there are friends who care about you and your family during this difficult time. Most importantly the Bible tells us that "God is near to those that are broken at heart.” We pray that Jehovah the God of all comfort is with your family during this difficult time of grief.